Strawberry Fields Forever . . .
We’ve all done it. Gone to the grocery store and been overwhelmed by the beauty of some long lost and incredible looking kind of produce. Spring is suppose to be springing soon and most of us look forward to things like asparagus, snow peas and my downfall this weekend. . . strawberries. The grocery store had them on sale for 5 quarts for $5. Two genes–my cheap gene and my lust for spring gene both went into high gear. Of course I bought five. So I get them home along with the rest of produce and my refrigerator is bursting at the seams. I better get busy. 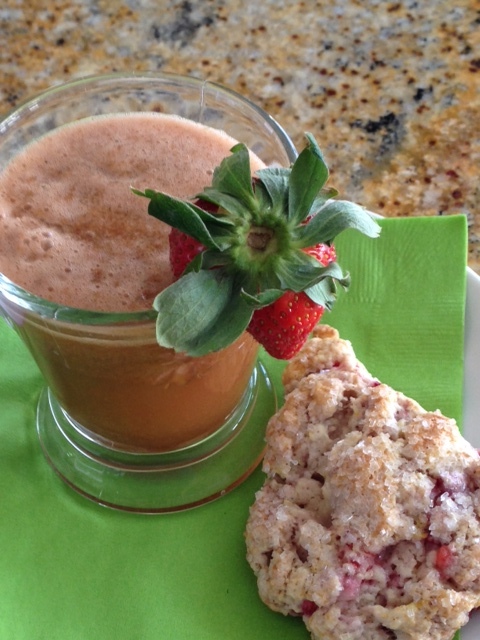 Two of my latest passions, juicing and scones, are the immediate focus. Look at the beautiful glass of juice. Yummy as well. The strawberry scone? Fabulish! 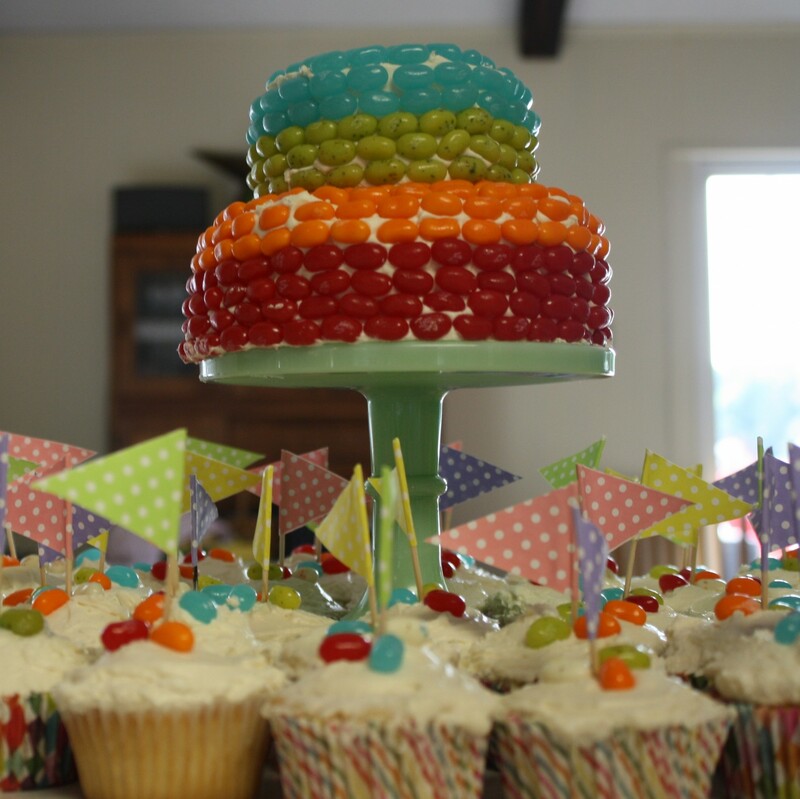 So light and delicious! Did I say delicious? Well it is. The scones? Take a look at my previous post on scones. The 1-2 cups of added ingredients, the favor is 1 cup of chopped strawberries. Bake at 425 degrees for 18 minutes. So good. We will enjoy them at work tomorrow! When life gives you pineapple juice, make apple pancakes . . .
Oh yes, that is a German Apple Pancake. Fabulish (remember that is my new cooking word, move over Emeril). So light and fluffy on top with caramelized apples on the bottom. What does this have to do with juice? Or pineapples? Well, I was enjoying another beautiful snow day in mid-Michigan. I took out my juicer and proceeded to make a magnificent juice of pineapple, grapefruit, oranges, cucumbers, ginger and celery. Almost done and the tightening nut on my centrifuge juicer broke flinging the lid and juice all over my kitchen. I cleaned up juice from places I did not know I had. What a mess. What was I going to do with the apples I had not put in the juicer and then I remembered. My mother-in-law, Oma, use to make this delicious pancake and I had made it for my dad when he was living with us and he loved it too! It’s really quite simple. 2. In a medium bowl mix eggs, milk, flour and vanilla — just until mixed, don’t over stir. Let it sit for 30 minutes. 3. 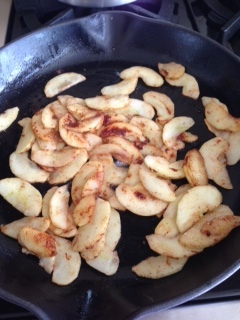 Take 2 Tablespoons of the butter and in a hot 12 inch cast iron stove melt and add the apples, cinnamon and nutmeg and salt. Cook until the edges are browned. 4. 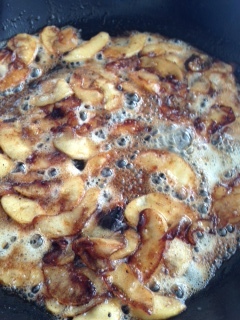 Add the brown sugar and cook until the apples caramelize and thicken. 5. 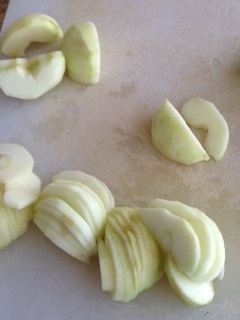 When apples are bubbling hot and caramelized, quickly pour the batter over the apples and place in the oven. Bake for 15 minutes. 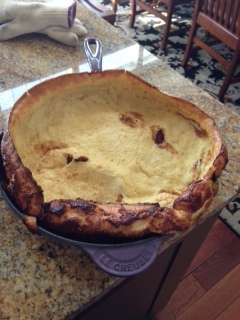 The pancake will come out hugely puffed. Don’t be surprised when the middle falls and the edges curl in. That’s the way it is suppose to look. 6. Cut into four wedges and serve immediately with powdered sugar and/or maple syrup. Look at that face. Proof that this is a good recipe. Etta and I had a great weekend. She sits at the counter with me and we bake. I measure she pours. I mix, she mixes. I bake she tastes. It’s a good partnership. We made bread and she loved pounding it down and kneading it. We juiced and she loved putting the fruits and vegetables into the chute and using the pusher to push them into the juicer. 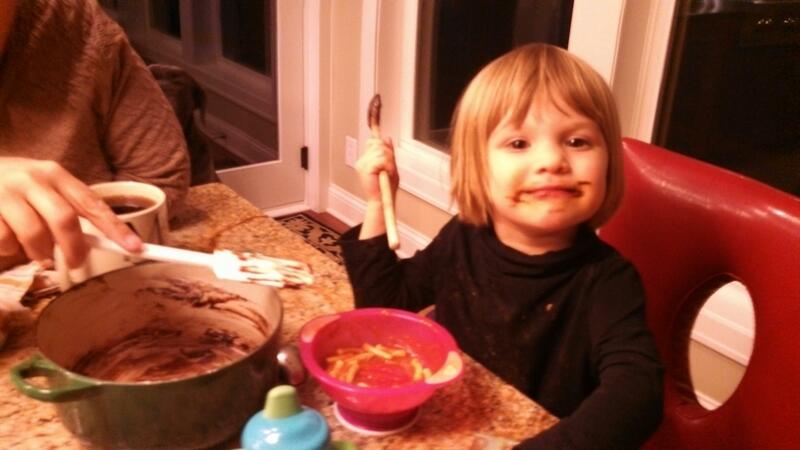 We made brownies and she licked the pan and spoon and gave the nod of approval. So this brownie recipe is good because it is luscious and chocolate and also because it doesn’t use a lot of dishes or pans. 1. Preheat oven to 350 degrees. Grease and flour the bottom and sides of an 8″ square pan. (I like to mix cocoa with the flour for just that added goodness. 2. In a large saucepan, melt the butter. Remove from heat and stir in sugar, eggs and vanilla extract. Mix with a spoon. Add the cocoa, flour, salt and baking powder. DO NOT OVER MIX! 3. Spread the batter into the floured pan. Tap pan on counter to even out. 4. Bake in preheated oven for 20 minutes. One pan. Can you dig it? Etta would have liked to have eaten the whole pan!